Beauty is in the eye of the beholder. 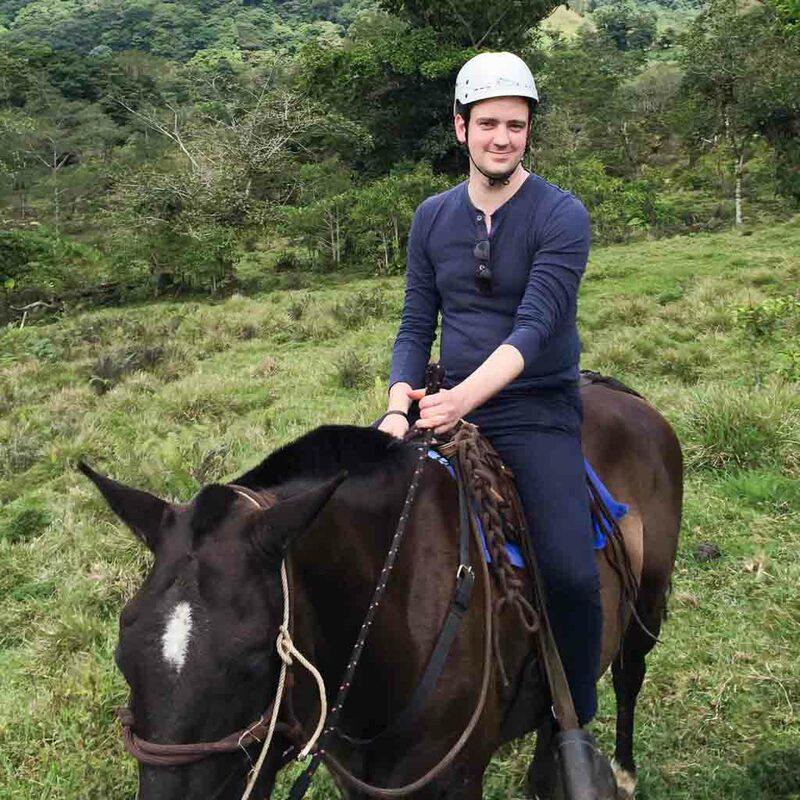 And when that beholder is born-and-bred Northern Irishman Leon McCarron and the beauty in question is that of his beloved homeland, you can expect bias, not balance. 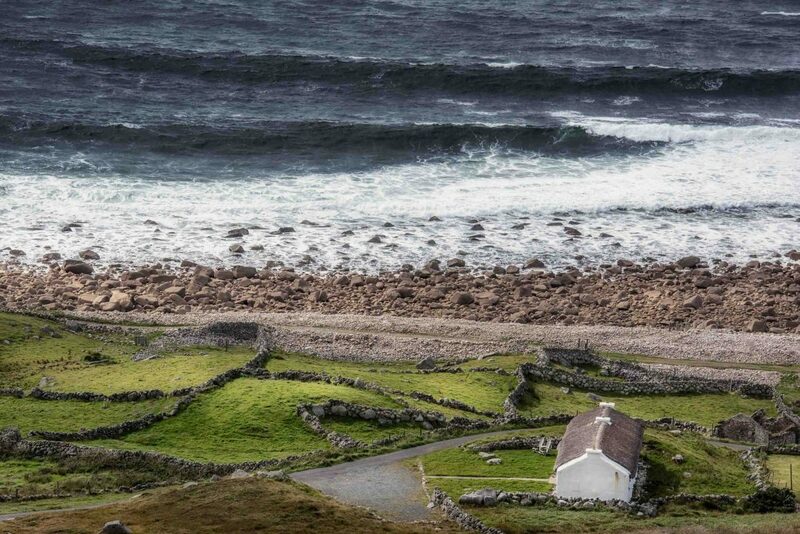 The west coast of Ireland is, quite rightly, heralded as a place of truly outstanding natural beauty. 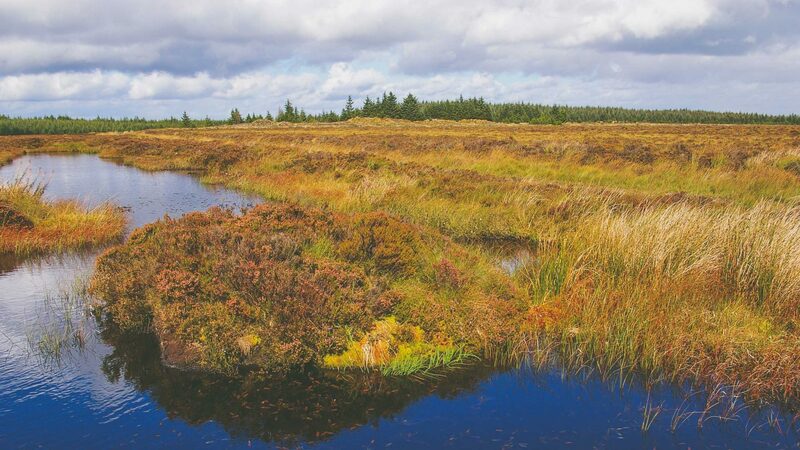 From the Inishowen peninsula in Donegal at the top all the way down to the jagged, pot-marked coastline of Kerry, it’s home to wild beaches, cliffs and vistas that would keep any traveler entertained. And yet, I’ve sometimes felt the attention given to the west comes at the expense of another part of the country—which to my mind is every bit as special. 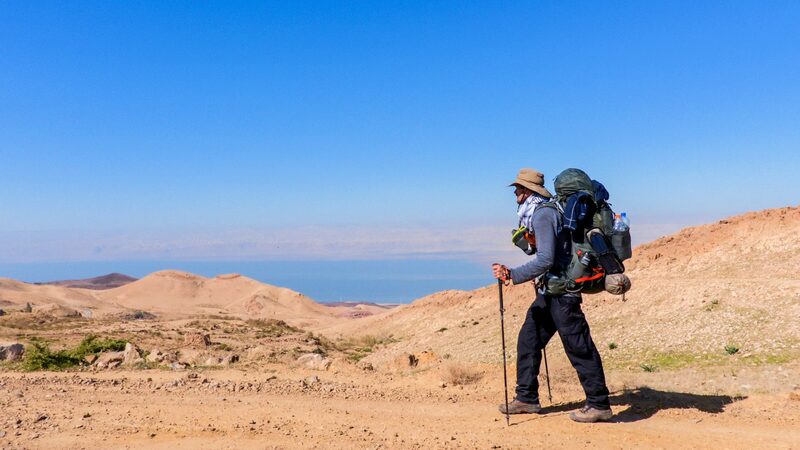 It’s true we all have certain biases when it comes to travel; places that mean more to us for one reason or another, or that we view through a particular lens that filters out the negatives and leaves only beauty. 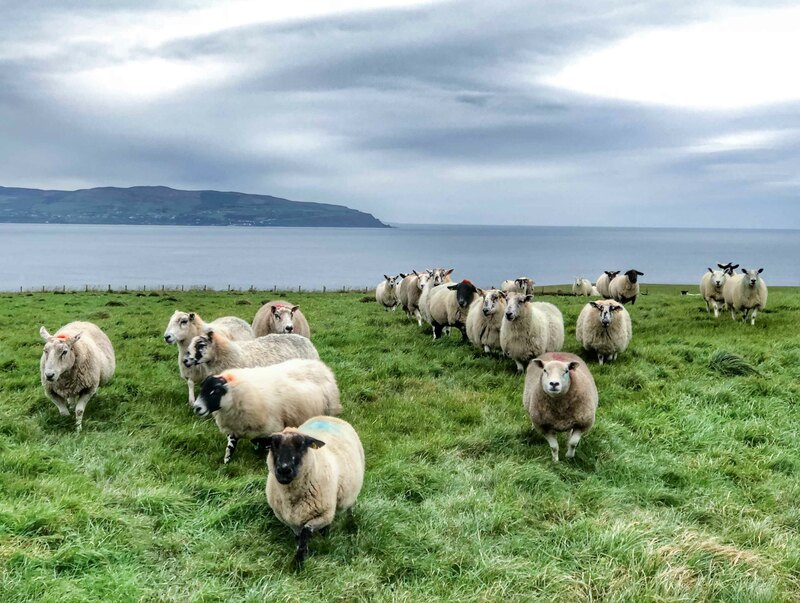 So here’s the disclaimer: I grew up on the north coast of Northern Ireland, and what you’re about to read will almost certainly include some immovable local pride. If you’re willing to accept that, let me convince you that the place I know best in the world is worth your time. 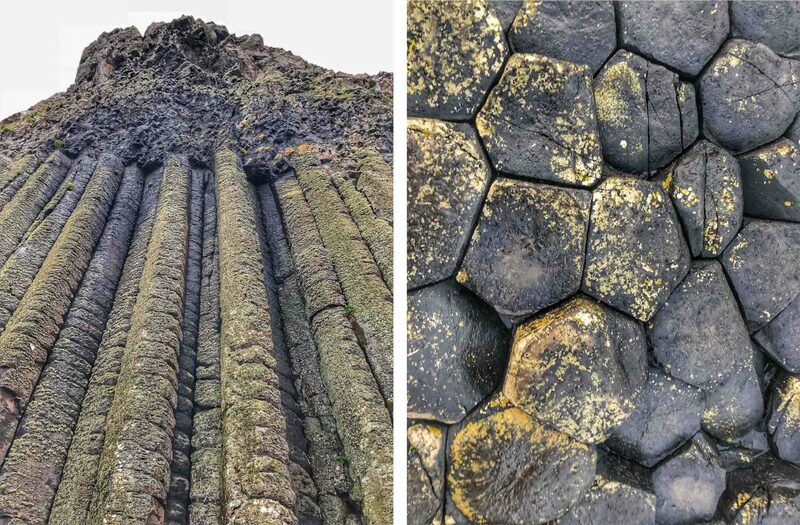 The major claim to fame for the north is the Giant’s Causeway, where hexagonal-shaped basalt rocks from 60 million years ago amaze anyone who visits. 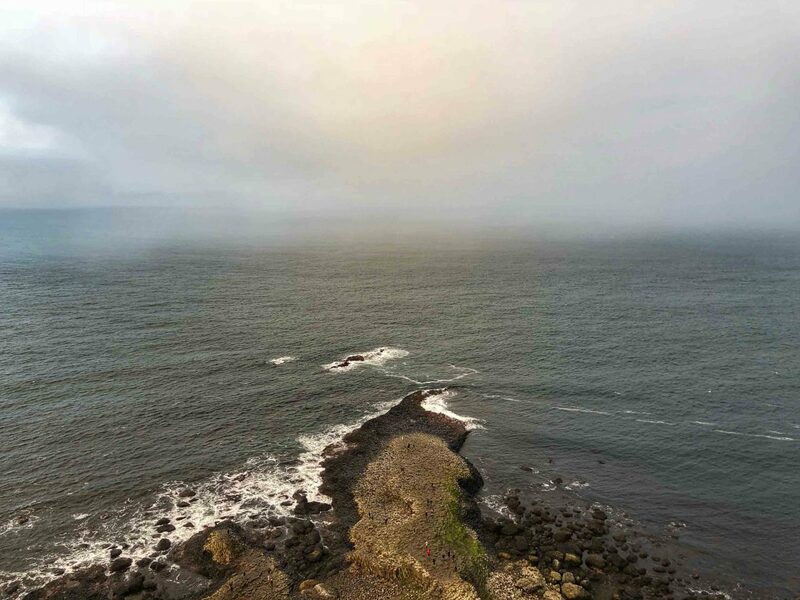 In recent years, it’s begun to attract thousands of visitors a day at the height of summer to wander over the rocky shoreline. This has always surprised me. It’s certainly impressive, but I find the crowds a little oppressive at busy times, and there are equally beautiful stretches of coastline just a few miles away. 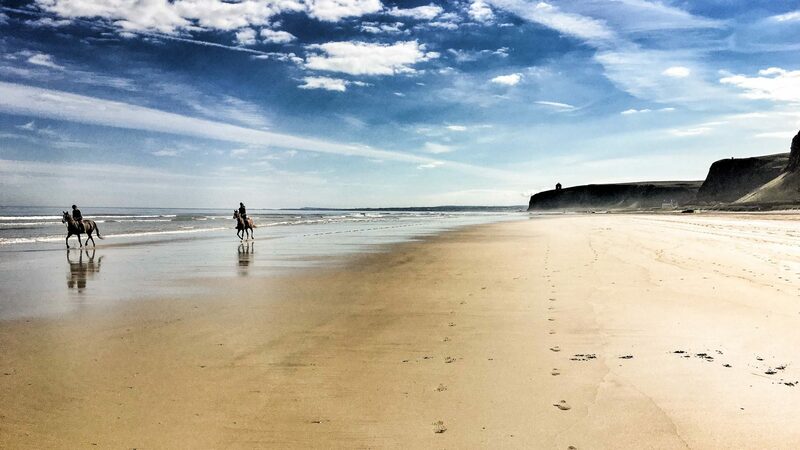 Just west of the Causeway are the silver sands and limestone cliffs of what’s known as the White Rocks; a windswept stretch of beachfront that faces up to rolling white Atlantic waves. As a kid, I used to take part in an annual 32-kilometer charity walk along here; even then I recall being amazed by how the scene would change moment to moment as the weather blew through. It’s not unusual to have sunshine, rainstorms, hail and thunder all within a half-hour window. 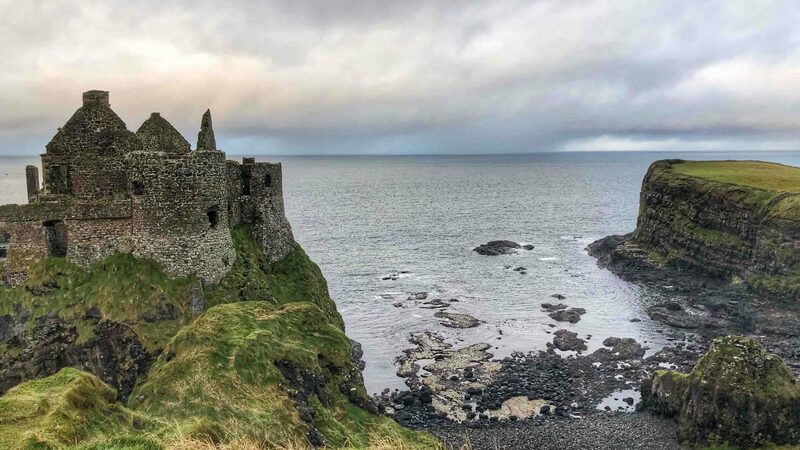 We finished those hikes of my youth at the medieval castle of Dunluce, its remains perched proudly atop the cliff for over 500 years. To me, this is the iconic scene of the north; a rugged, battered bastion of old Ireland, clinging on for dear life with rolling green hills extending out to the horizon. 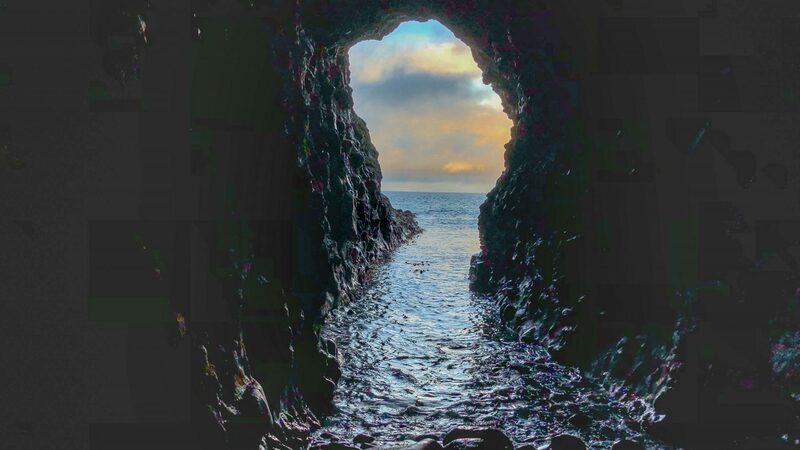 Hidden below are a network of caves in the mountainside, where smugglers once snuck into shore on the high tide. Many of these caves are still visible; some are even accessible, though I wouldn’t recommend exploring too closely. I’ve heard enough stories of people drowning in the hunt for treasure there to warn me off it for life. 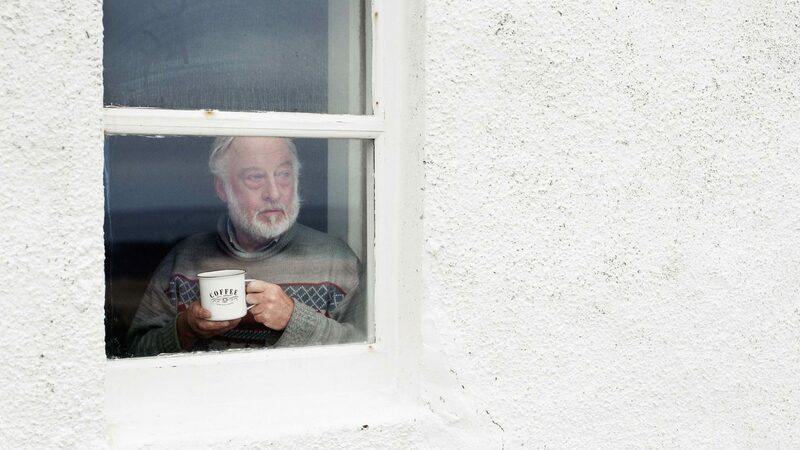 It’s true too that any coastline changes dramatically when you view it from the sea rather than from land. 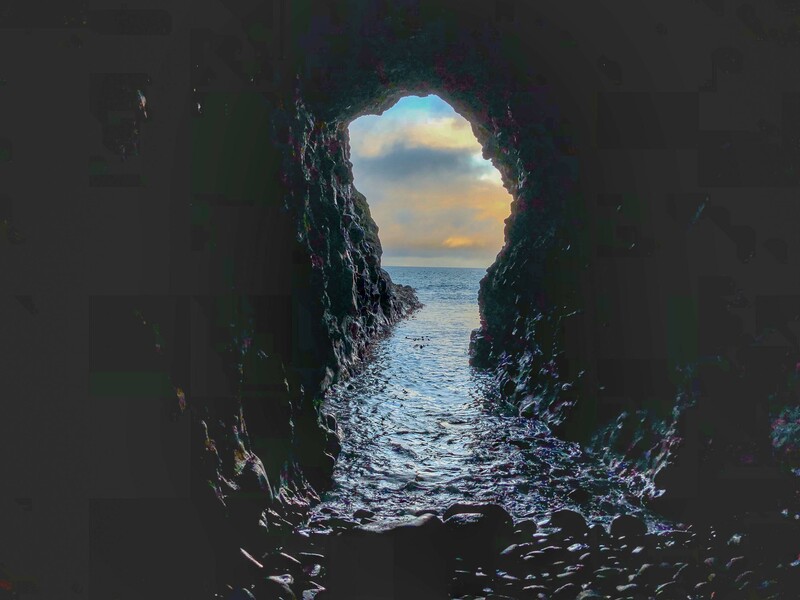 The drama and scale of these caves is one of those features that’s best seen from the water, and the very rawness of the landscape is more apparent too; the constant bite of the Atlantic Ocean has carved and sculpted the scenery here, its harsh beauty betraying the fierceness of Irish weather. 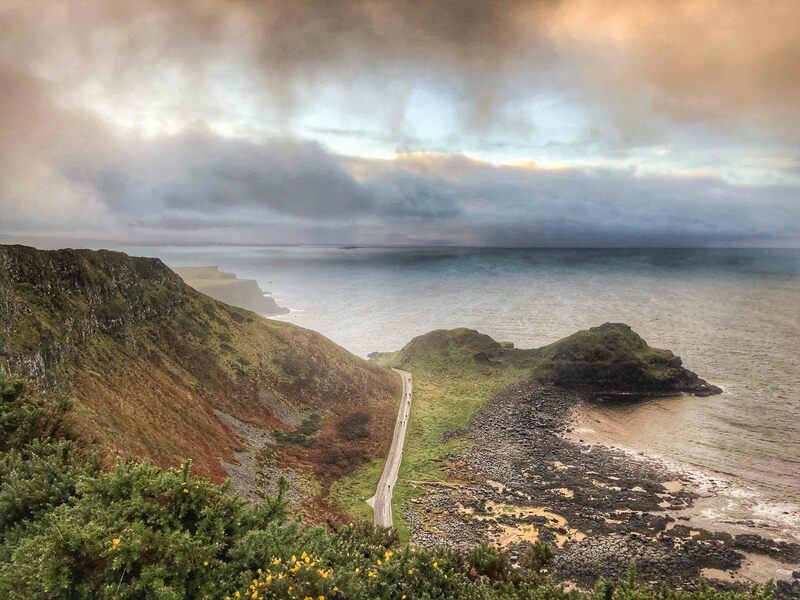 But the area I love most is that of Downhill, and the fields and beaches that stretch out along the coast in the shadow of Binevenagh mountain. Just a mile from my home is Downhill Demesne—a stately mansion built by the eccentric Bishop of Derry in the 18th century—the mansion was eventually gutted by a fire and fell into disrepair. Its skeletal remains now grace the highest point on the clifftop, and add a beautiful, haunting silhouette from every angle. At the end of the old track leading out of the house is the Mussenden Temple, a wonderfully ornate circular stone building that the eccentric Bishop designed as a summer library. The sheer 120-meter cliff that it sits atop has receded, so it now sits right on the edge. I took some of my first steps in life beside the Mussenden Temple—growing up, I ran a loop of the hills that went past its door every day and now I go home a few times a year to walk there with my mum, and to look out across the sea to Donegal. It’s the most special place in the world to me, and if you ever visit I encourage you to stand for a long time looking down onto the seven-mile long beach below. If you’re lucky, you’ll see the train coming through the tunnel underneath, rattling its way towards Derry/Londonderry. 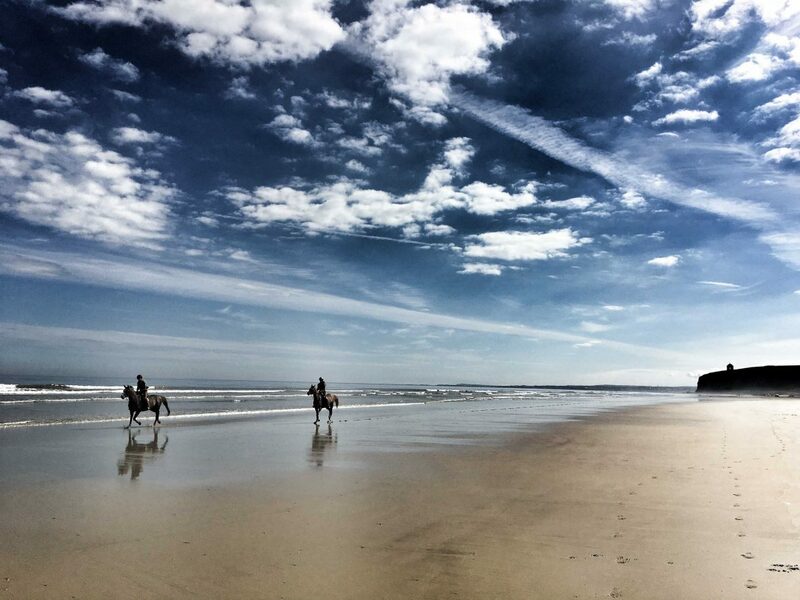 If you’re even luckier, you’ll see people on horseback, galloping up and down the strand. 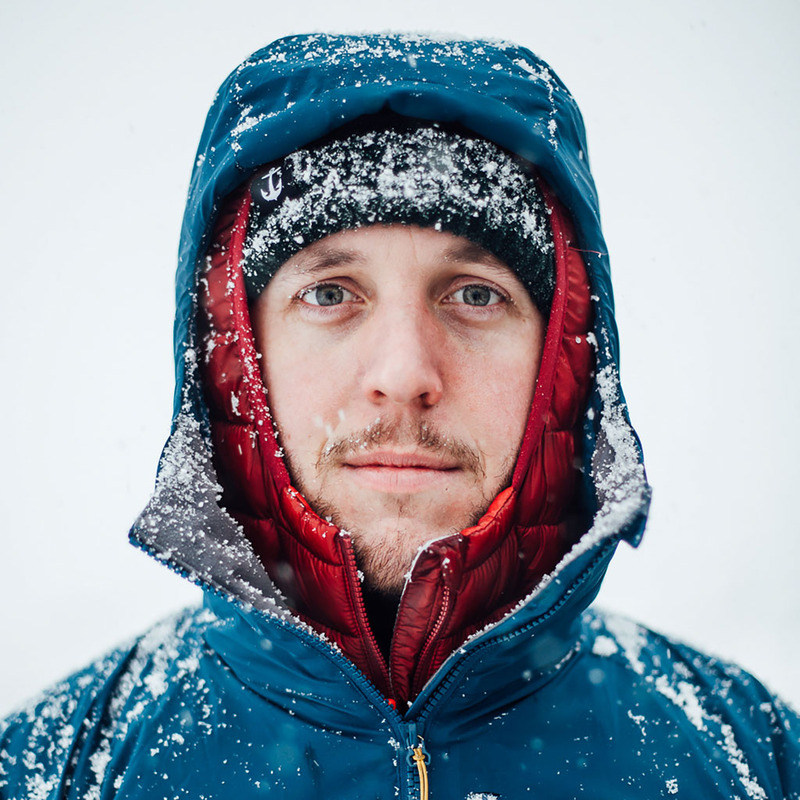 Wave and say hi—it’s usually my mum. Not far from the entrance to Downhill Demesne is ‘The Bishop’s Road,’ which leads to a network of wonderful (and wonderfully small) country roads and tracks that criss-cross the hillside. 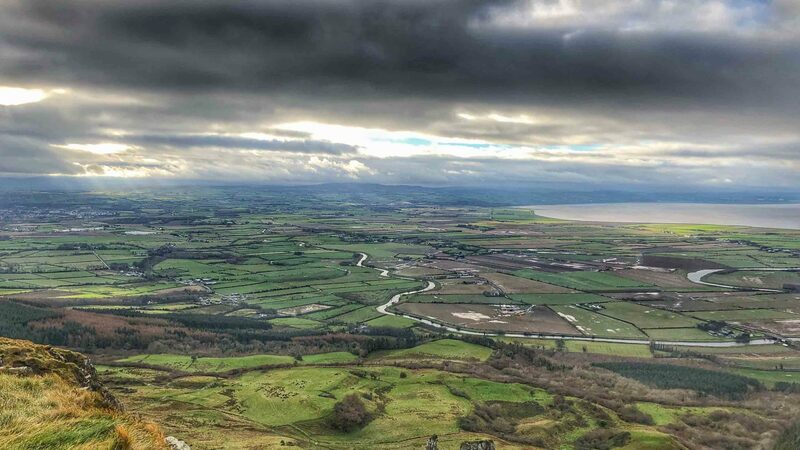 One of these strikes out towards Binevenagh, and stays high as the landscape below falls away towards the sea. 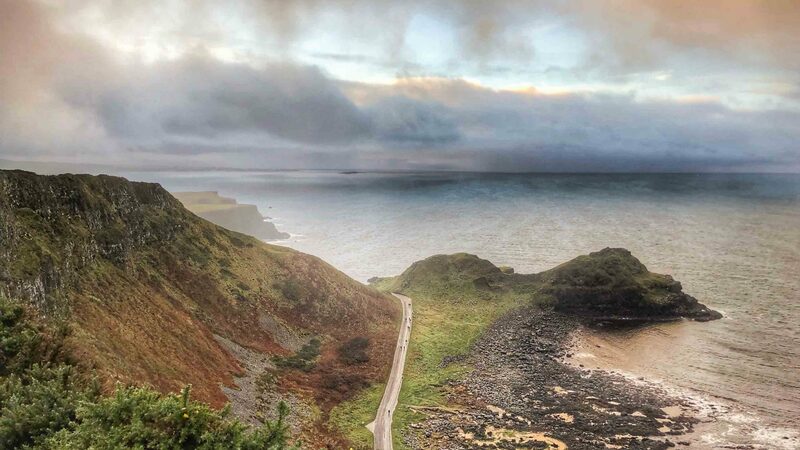 At one point, the land draws itself into a large arrow that reaches out to almost touch the Inishowen peninsula of Donegal; this is Magilligan Point, and forms the entrance to Lough Foyle. 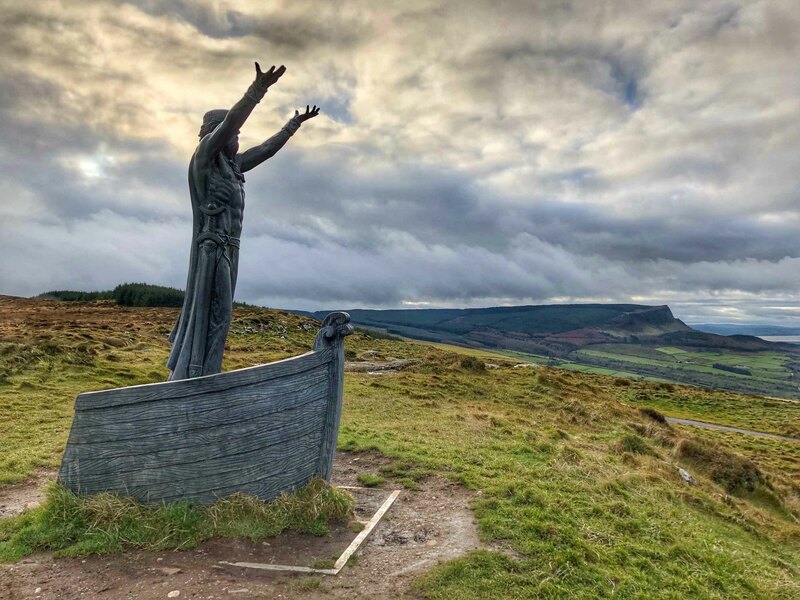 Along these high roads, there are innumerable viewpoints, but at Gortmore, no more than a curve in the road, is the inimitable statue of Manannán mac Lir: The great Irish Sea God who stares eternally out to the west. I can’t get this far without mentioning, briefly, Game of Thrones, because now that’s what the Antrim coastline is increasingly associated with. Yes, one can visit the Dark Hedges, and Ballintoy Harbour and Portstewart Strand which are all in the show. Even my beloved Downhill Beach is the scene of a rejection of the Gods of Westeros, and Binevenagh is the Dothraki Grasslands. 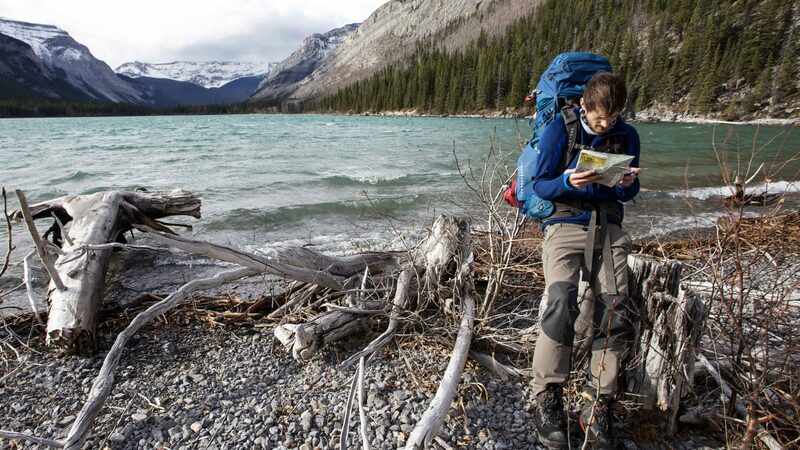 I’m not writing this a tour guide: I write as someone who lived there, and who will do again, and who simply thinks, rightly or otherwise, this is irrefutably the most exciting, interesting and beautiful part of our planet. To my mind though, there’s a more enduring appeal to the Celtic mythology that’s so deeply engrained in the area’s history and culture. 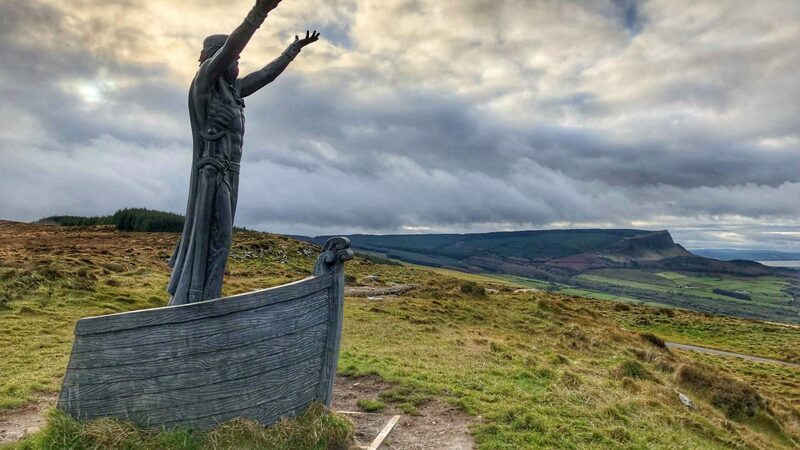 The statue of Manannán mac Lir is one such example, and every other corner of the land is imbued with similar folk stories. The Giant’s Causeway, of course, has its own tale of giants. 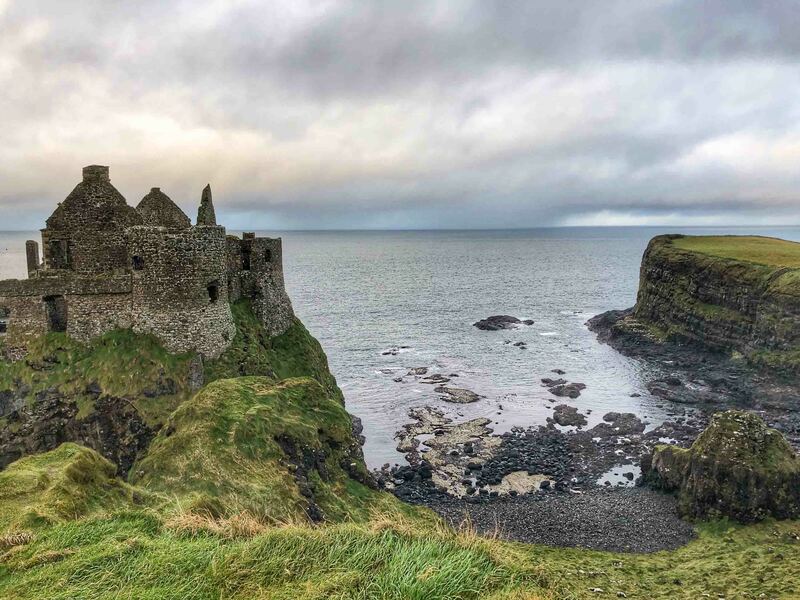 Dunluce has its legends of banshees, female fairy spirits who shriek in the night, heralding the death of a family member for any who hear it—fairies in Ireland do not come in the Disney variety. 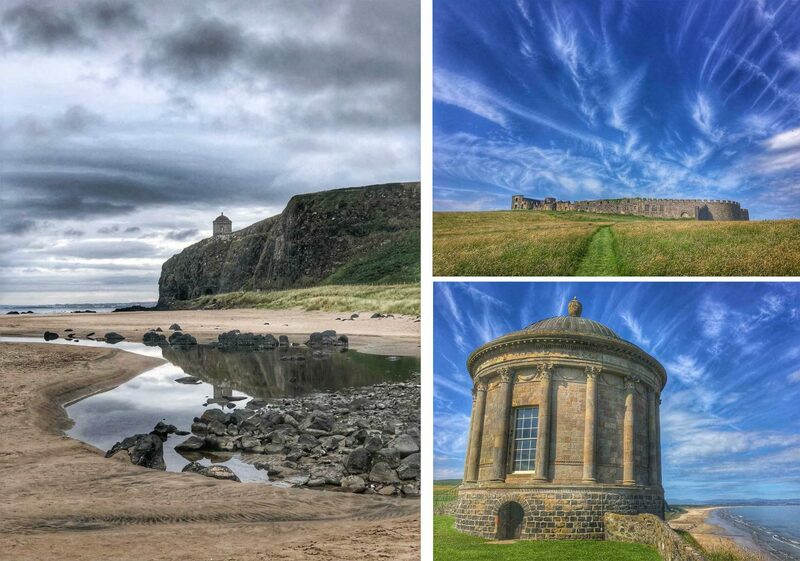 The Mussenden Temple is said to be haunted, and every patch of woodland, beach and hillside I’ve known my whole life has stories of fairy rings and mythical monsters and magical happenings. I love it all. It’s true I don’t believe much of the mythology, but I know enough not to dismiss the importance of it. 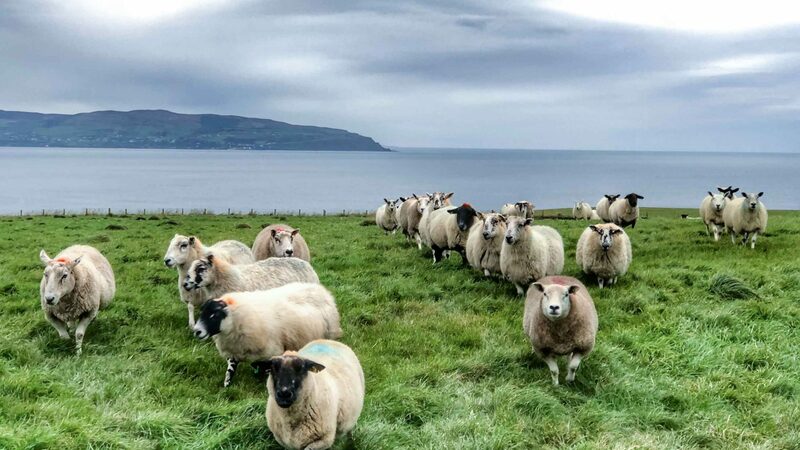 Further along the coastline are impossibly charming fishing villages like Cushendun, and the rolling Glens of Antrim all around. 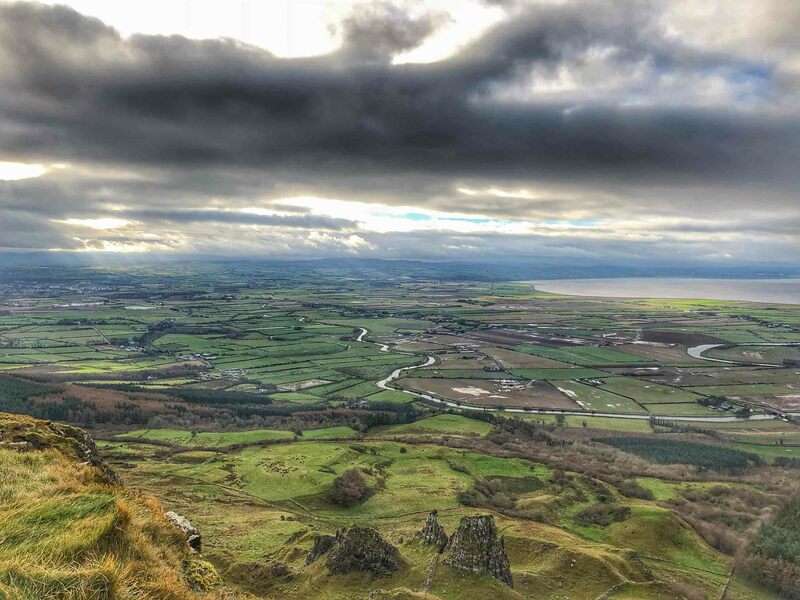 There’s the extinct volcano of Slemish to climb, and the island of Rathlin to visit, and we haven’t even got started on the Bushmills whiskey distillery. 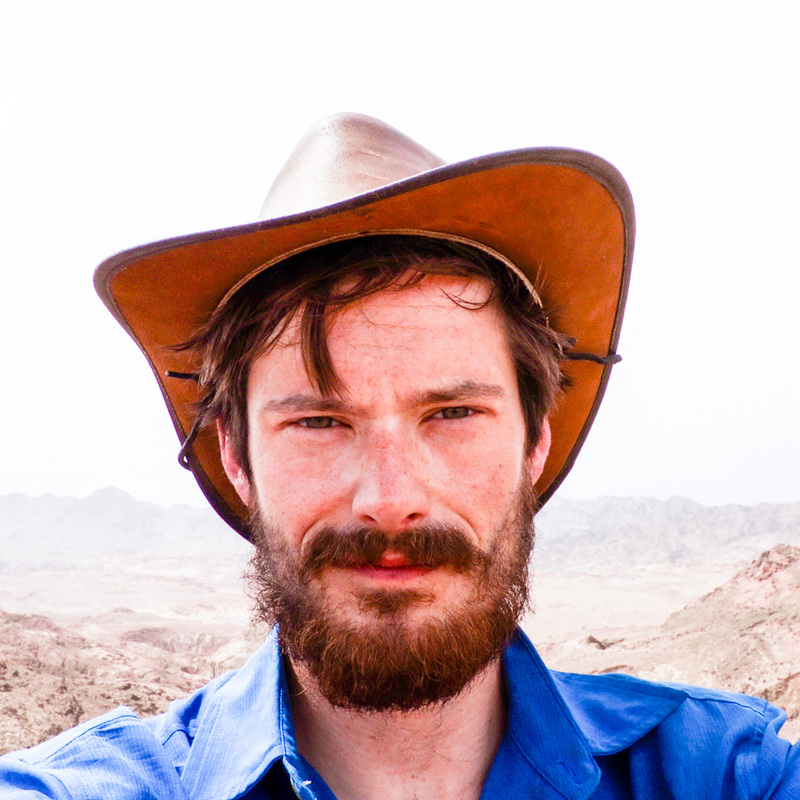 But I’m not writing this a tour guide: I write as someone who lived there, and who will do again, and who simply thinks, rightly or otherwise, this is irrefutably the most exciting, interesting and beautiful part of our planet.